IDeale keystone in poplar and birdseye maple. 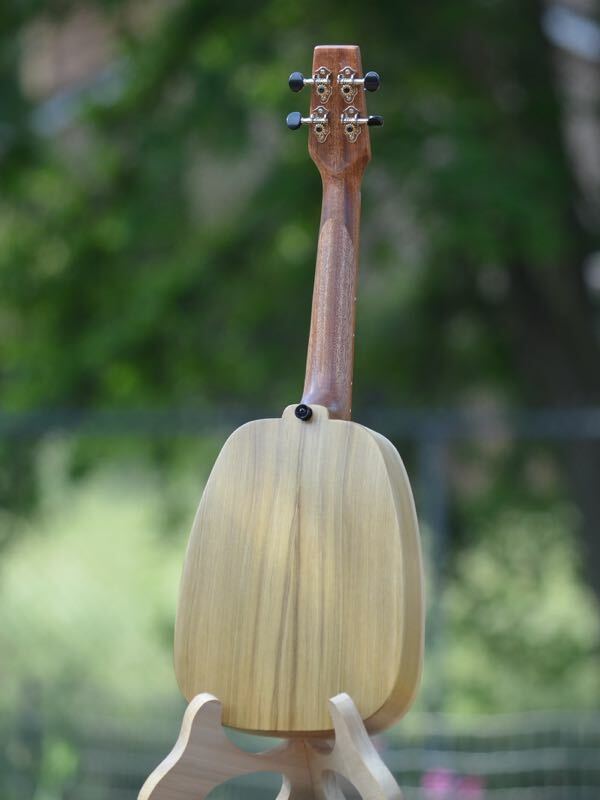 Featuring Craig Chee ‘Artist Curated” strings from GHS. “La Pelirroja” is ‘the redhead’. 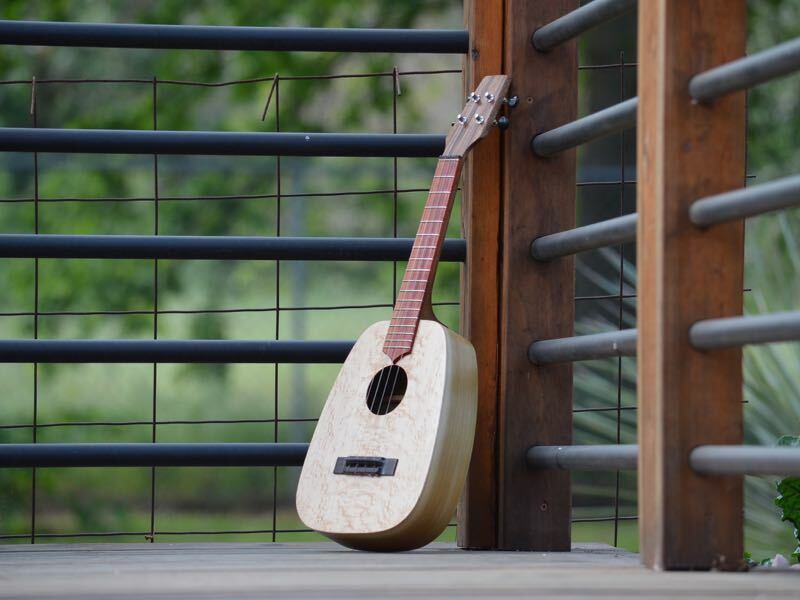 She has a bold red fretboard made of padauk and a beautifully freckled soundboard in birdseye maple and a sweet, sweet voice. 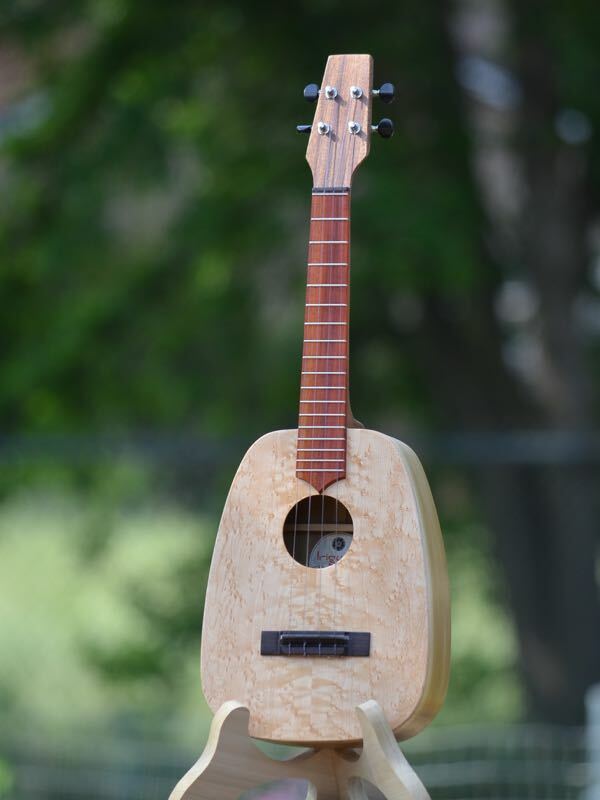 Pelirroja is one of our IDeale-size ukuleles. 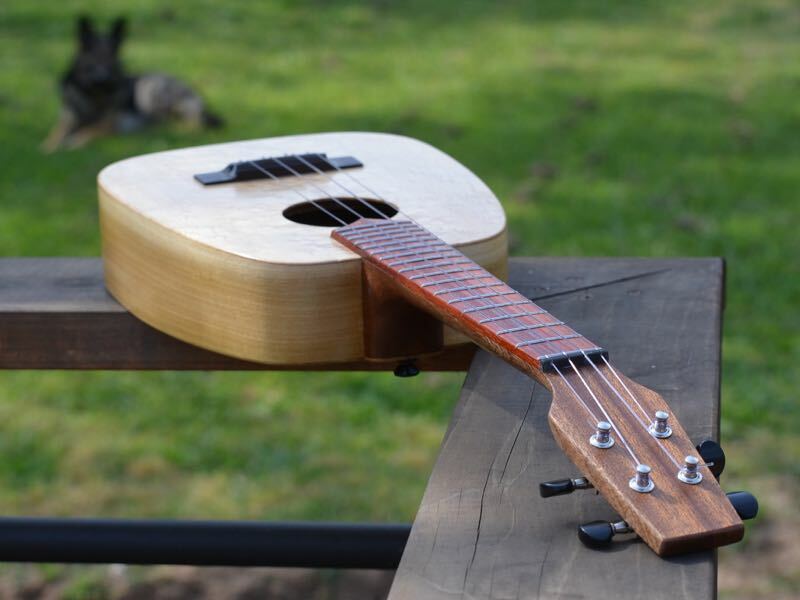 She is bigger than a concert and smaller than a tenor with 13 frets to the body. We reinforce her neck with a carbon fibre rod and add finish to the interior for protection from humidity.